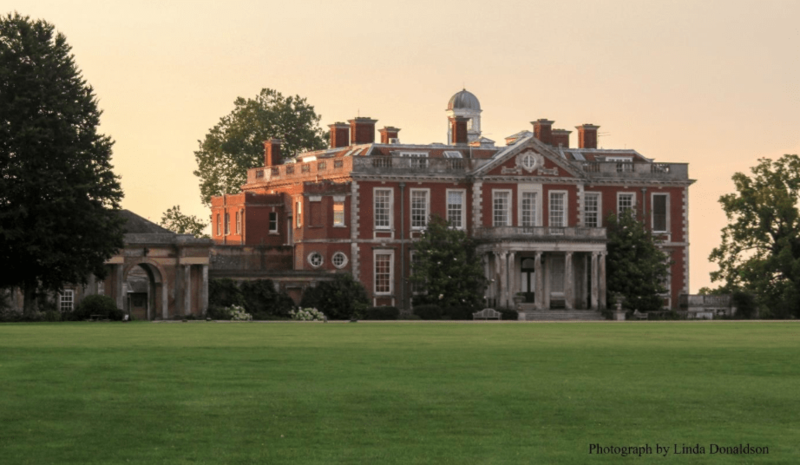 One notable feature of the Rowlands Castle area is the existence of three large country estates – Idsworth, Stansted and Staunton – each with its own history, acreage and ownership. This article makes comparisons between them and focuses on how they are distinct. Other aspects of the properties which are helpful in making comparisons – estate management, buildings and families – will be the subject of future articles. 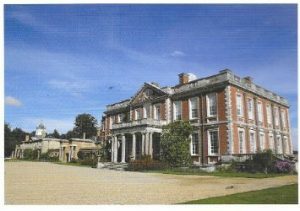 Stansted House and estate remains the most complete of the three due to the provisions of the late Lord Bessborough who died in 1983. He formed the Stansted Park Foundation, a charitable trust, to administer the House and the farmlands and forests surrounding it. The name ‘Stanstede’ can be traced back to Saxon times, and the Normans had a presence there. It became known for its deer hunting. The House itself, although rebuilt following a fire in 1900, remains intact but is no longer used as a residence. Much of it is open for visiting, while the grounds are accessible by means of both public and permissive pathways. 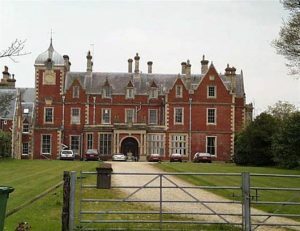 Apart from a small nib of land, the estate lies just over the county boundary in West Sussex, so is not in the civic parish of Rowlands Castle. It has and does, however, play a prominent part in the life of the Village as a place to work and to go for recreation. On the other hand, Idsworth House, the second estate, lies wholly within Rowlands Castle. 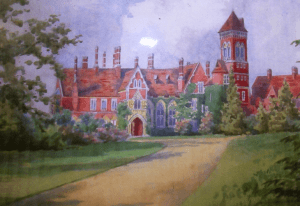 It was the family home for several generations of the Clarke-Jervoise family, but was sold off with the estate being disassembled in the 1970s. The main House itself was initially partitioned into apartments, but has subsequently been reintegrated. The extensive outbuildings – stables, squash court and bothy – are now also residential homes becoming a small rural hamlet in their own right. The land has been sold for farming, the forest protected and other lands used for horse grazing. The earlier history of Idsworth can be traced back to Norman times, and is worthy of note because the original Old Idsworth estate was located further east, on the other side of the railway line, adjacent to St Huberts Chapel and Old Idsworth Farm. The house was relocated across the valley of the Lavant on the coming of the railway in the mid nineteenth century, as the owners did not want to remain so close to this new intrusion. The Old House was dismantled but is survived by its walled garden, some interesting small buildings including a dovecot and ice-house together with remaining trees: an aging lime tree avenue up the opposite hillside and an iconic lone cedar in the middle of the valley. The third estate, now known as Sir George Staunton Country Park, has also been called Leigh Park Pleasure-Grounds. It is the most recent creation being bought by George Staunton (1781-1859), later Sir George Staunton, at the beginning of the nineteenth century. 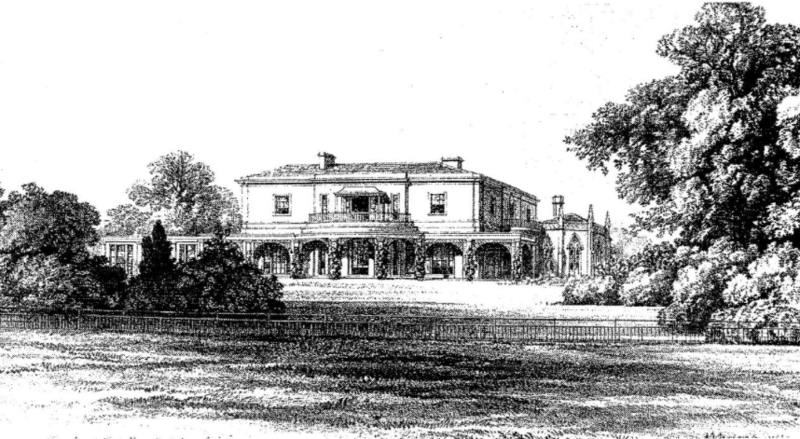 He modified the original house but substantially developed the grounds ‘Leigh Park Pleasure Grounds’. Much of Sir George’s fascinating earlier early career was associated with the Far East, and later the East India Company, where he became fluent in Chinese and was an expert in the Chinese language and law. Through his father’s friends, he had also developed an interest in plant species including the tea plant. In the grounds of Staunton Park, he created a large artificial lake, built extensive greenhouses (since reconstructed using modern materials) for exotic plants, and introduced features some of which were reminders of his life in China – a bridge to an island in the lake – as well as temples, the Gothic Library, and an ornamental farm. Subsequent owners – the young MP William Stone (1834-1896) and later General Fitzwygram (1823-1904) – have retained many of the features of the Staunton estate. Importantly, Stone constructed a large new Victorian house further away from the farm and overlooking the lake. 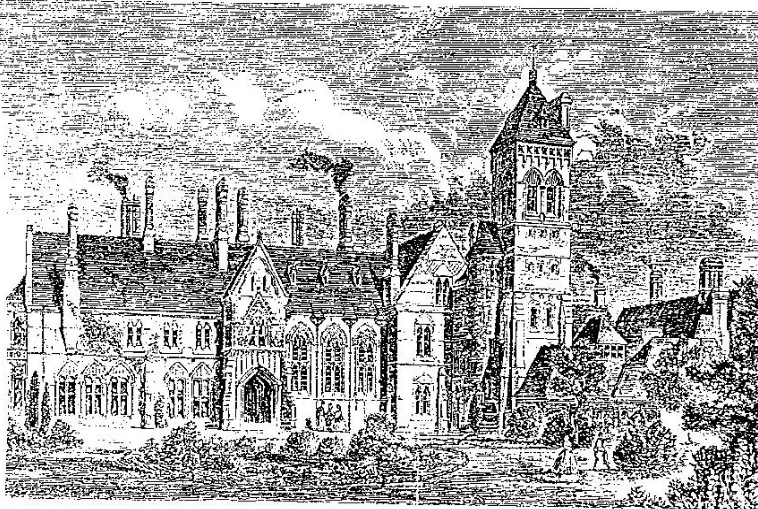 He rebuilt the new House in the current pointed Gothic style. General Fitzwygram, a career cavalry officer who had fought in the Crimea Wars, held a deep interest in horse welfare and had published a 500-page book on this topic. He built a ‘model stables’ on the estate to demonstrate this lifelong passion for horses. The stables (located at the edge of the Durrants Road bends) have recently been restored as a feature of the Park. The more recent history of the estate provides a strong contrast with the other two estates. During WWII, Staunton House was requisitioned by the Admiralty. After the War there was much discussion about the future of both House and estate. Portsmouth City Council had bought much of the estate with a view to creating a satellite town to house residents particularly those affected by war time bombing. In 1947 the Council eventually signed a contract for the House and 497 acres, to which it subsequently added a further 1174 acres, and then 367 more in 1955. Due to its poor condition, the House was eventually demolished in 1959. Following much new house building, the Council released much of the remaining land for social or recreational use as a park. In 1987 The Sir George Staunton Country Park was established under a Joint Management Committee comprising four local councils (HCC, EHDC, HBC, PCC), the Countryside Commission, The Forestry Commission, Portsmouth Water Company and Hampshire Gardens Trust. More recently, the other Councils have had other spending priorities, leaving Hampshire County Council as the main protagonist. Supervisory arrangements have recently been modified, and the Park is now managed by Hampshire County Council jointly with the nearby Queen Elizabeth Country Park, just to the north in the South Downs. The significance of the Park, has, however, been noted as it constitutes an important part of the ‘Green Infrastructure’ arrangements set out in a report adopted by PUSH, the Partnership for Urban South Hampshire (a voluntary association of the local authorities in South Hampshire. The Park has a key role as a green leisure facility for the relatively dense populations of Havant and Waterlooville.